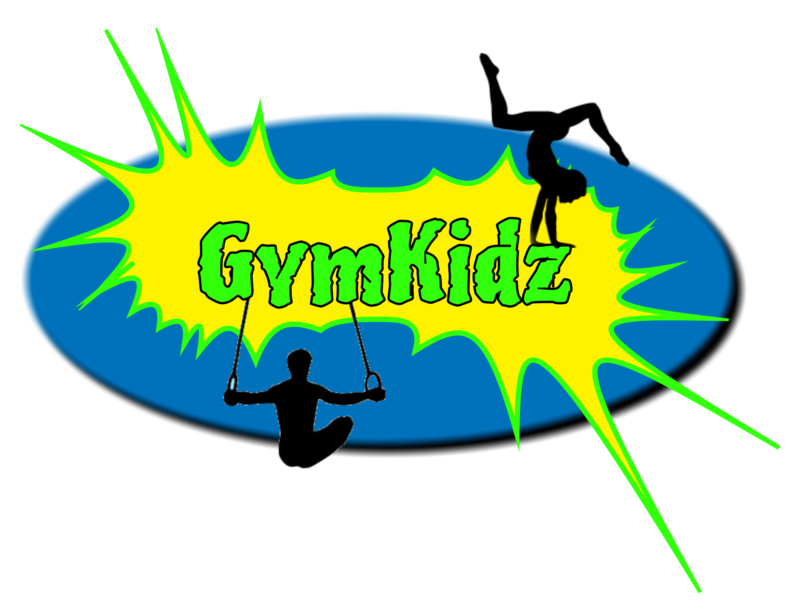 Our GymKidz gymnastic program is taught in proper progressions. We take care in teaching proper form and technique and we maintain high standards in our class with respect to effort, behavior, attitude and sportsmanship. While we focus on quality and progress, we definitely like to have fun! We know that we can teach kids to work hard and stay focused, but we also want to teach them to love the sport, to enjoy their training, and to develop lasting friendships in the gym. Your child’s physical fitness will improve in areas of coordination, strength, flexibility, and balance. Gymnastics will aid in your child’s overall physical development and the positive effects will carry on to various sports. The goal of this program is to aid students as they progress from basic gymnastic skills to a more difficult and challenging skill level. Girls in the Level 1 gymnastics class learn basic tumbling and equipment skills with the use of mats, wedges, bars and beams. The classes are designed to begin the development of fine and gross motor skills, strength, flexibility, balance, basic tumbling and equipment skills. Benefits of this class include the development of a strong work ethic. This class is for girls 6 and up. This class is 55 minutes long. 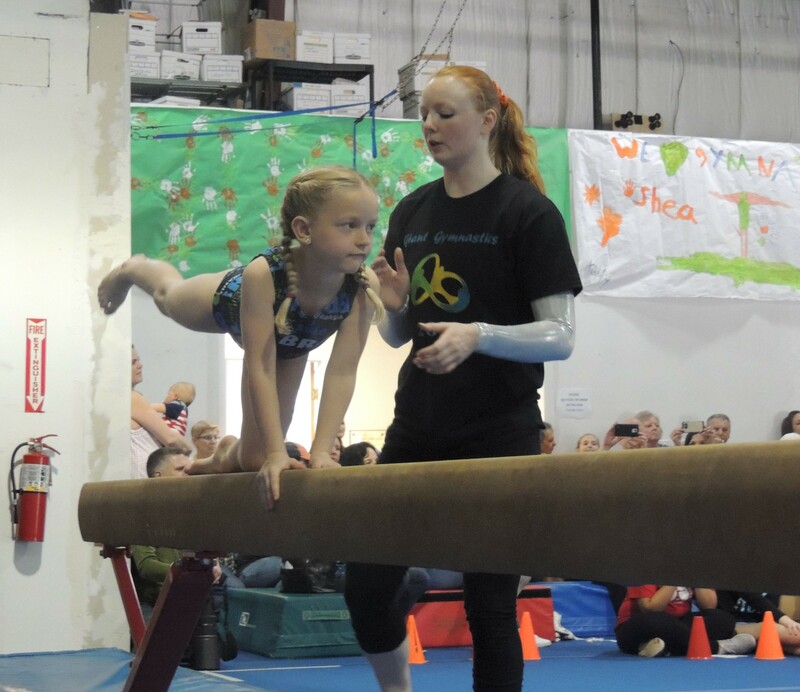 Level 2 gymnastics classes focus on progressive gymnastics skills by building on skills previously mastered in Level 1. Girls in this class learn intermediate tumbling and equipment skills. The classes are designed to further develop fine and gross motor skills, strength, flexibility, and balance. Additional benefits of this class include building self-esteem and self-confidence as basic skills are mastered. This class is 55 minutes long. The Level 3 class will expand upon the basic foundations of skills learned in Level 1 and Level 2. 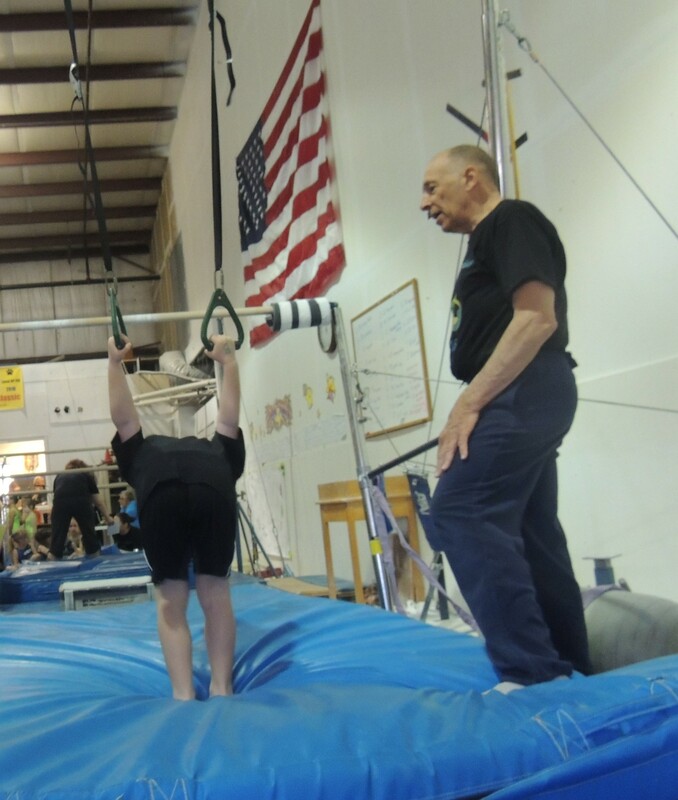 Students will refine their tumbling and equipment skills to advance them to the next level. This class will further develop self-esteem and self-confidence. This class is 55 minutes long. The Level 4 class teaches advance tumbling and equipment skills with emphasis on progressive skills leading to competitive level gymnastics. The gymnast is introduced to basic dance in the gymnastics setting. At this level, self-discipline and internal motivation become emerging benefits for the athlete. This class is 85 minutes. 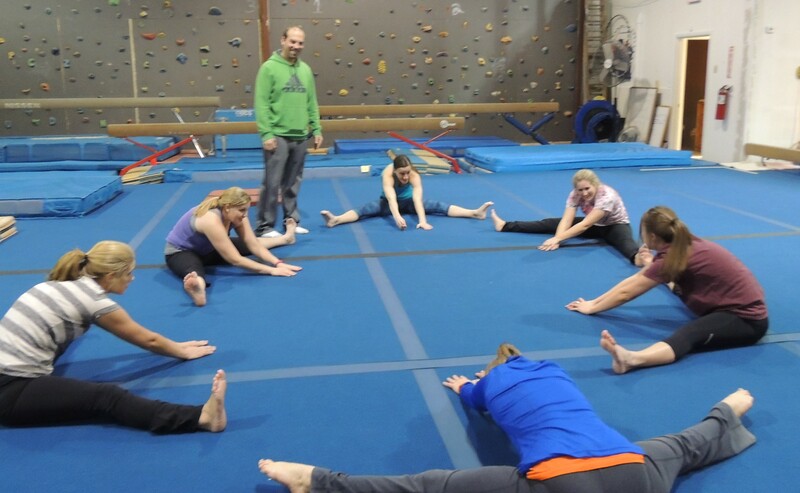 This is a gymnastics class for the advanced, recreational gymnast in mind. The focus of this program is to provide the students with more advanced gymnastics instruction in a fun and safe environment without the competitive commitment. Our class format allows each student to progress according to her own ability. Our primary focus is placed on refining technique and building confiednce. This class is 85 minutes. Boys enrolled in this class will learn basic tumbling and equipment skills with the use of mats, wedges, and bars. The classes are designed to begin the development of fine and gross motor skills, strength, flexibility, balance, basic tumbling and equipment skills. Benefits of this class include the development of a strong work ethic and an overall increase in body awareness and physical fitness.Additional benefits of this class include building self-esteem and self-confidence as basic to more advanced skills are mastered. Strength and conditioning are also incorporated into each event. This class is for boys ages 6 and up. This class is 55 minutes long. For the Kid in all of Us! No pressure, all fun gymnastics class for 18 and older. Drop-in class. Call ahead or check facebook to confirm class. No experience necessary, friends always welcome! This class is 55 minutes long.